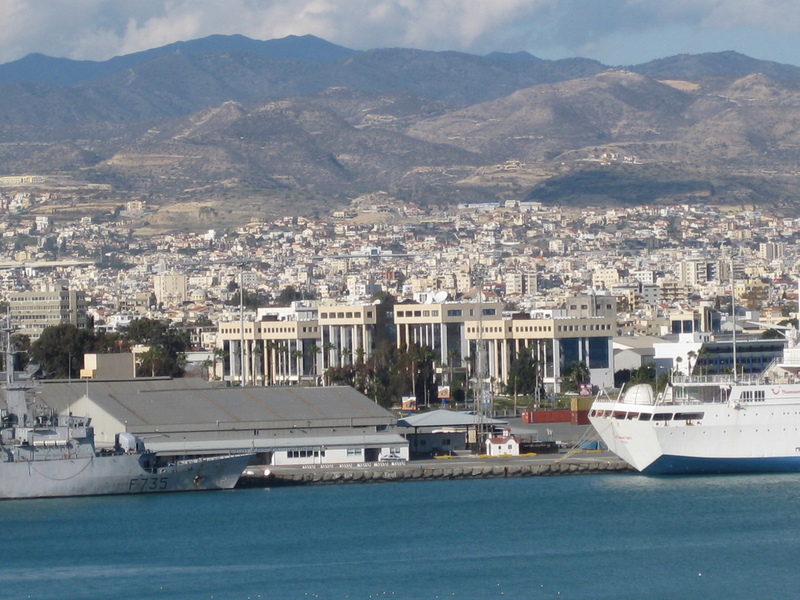 On my first cruise in 2009, I visited the island of Cyprus. this was my first visit to a Mediterranean Island and I was struck by its beauty and its beaches.Here are some of the highlights of my visit — a place I want to visit again! 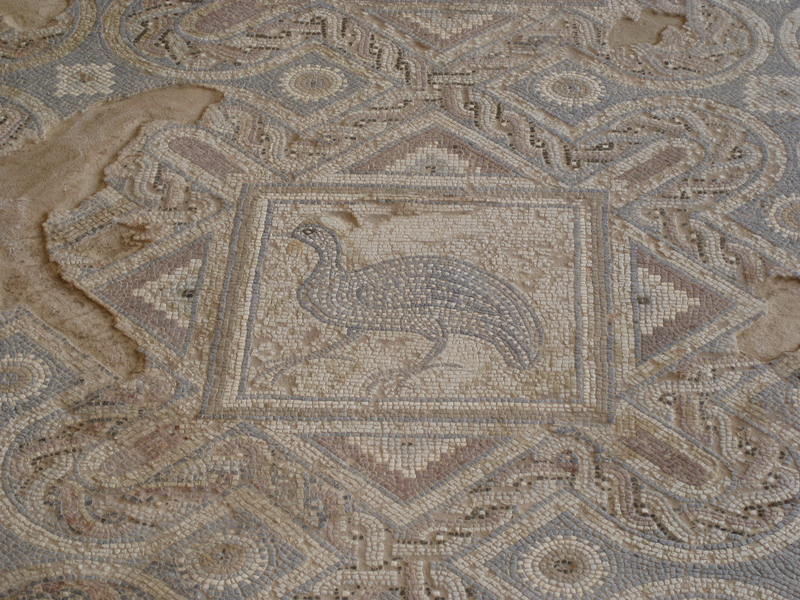 The Roman Villa contained some very beautiful mosaic floors, a series of heated pools, and a beautiful view of the sea. 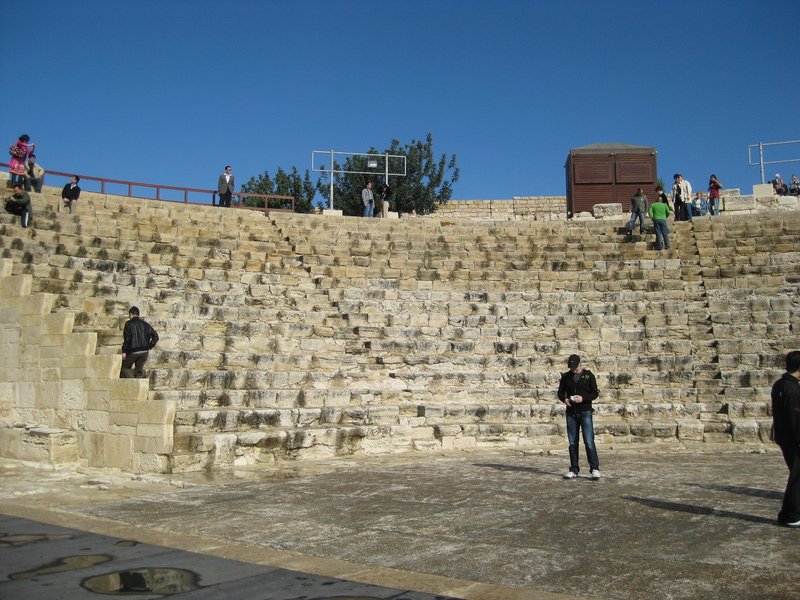 Who wouldn’t want to attend a concert in an ancient Roman theater — complete with a backdrop of the sea? It is stunningly beautiful and the sound is perfect. We even tried out talking on the stage and could hear from the back row with no modern sound equipment! 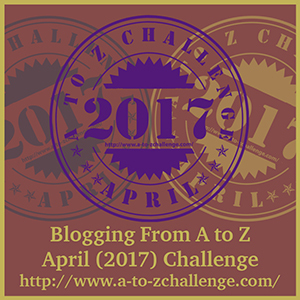 In Greek mythology, Apollo is usually associated with the sun, music and poetry. 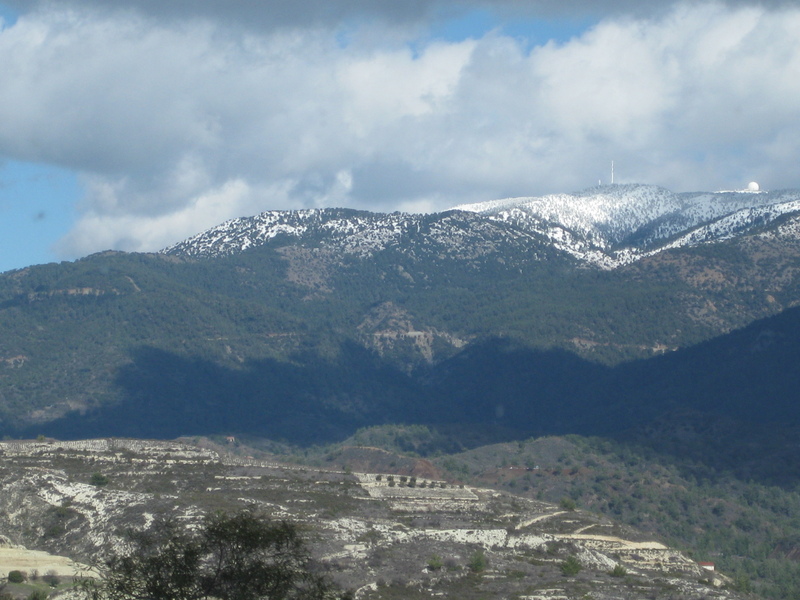 In Cyprus, he is also associated with forests and animals. At his temple complex, there were guest houses and training facilities for athletes. And, of course, a temple. 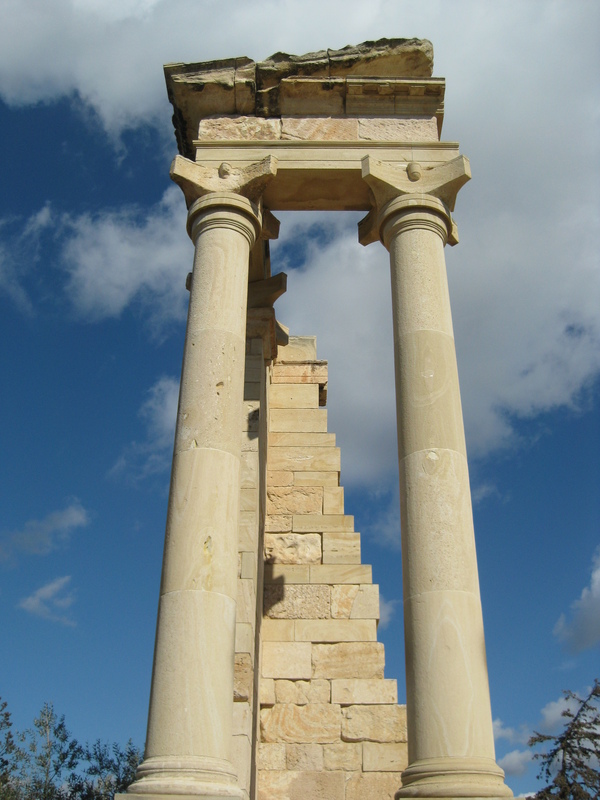 Notice that the tops of the columns are unique to Cyprus. 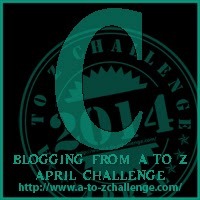 C is also for Cats! 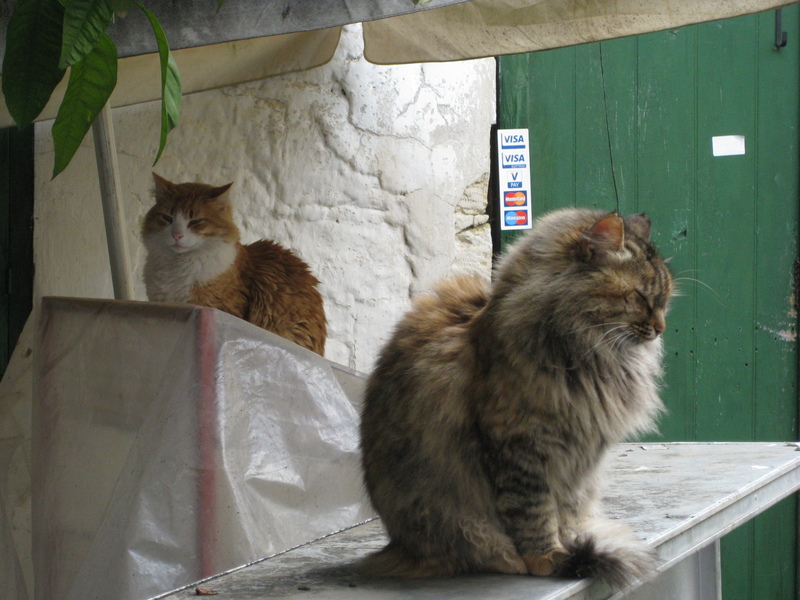 And Cyprus has a special saint just for cats — St. Nickolas. 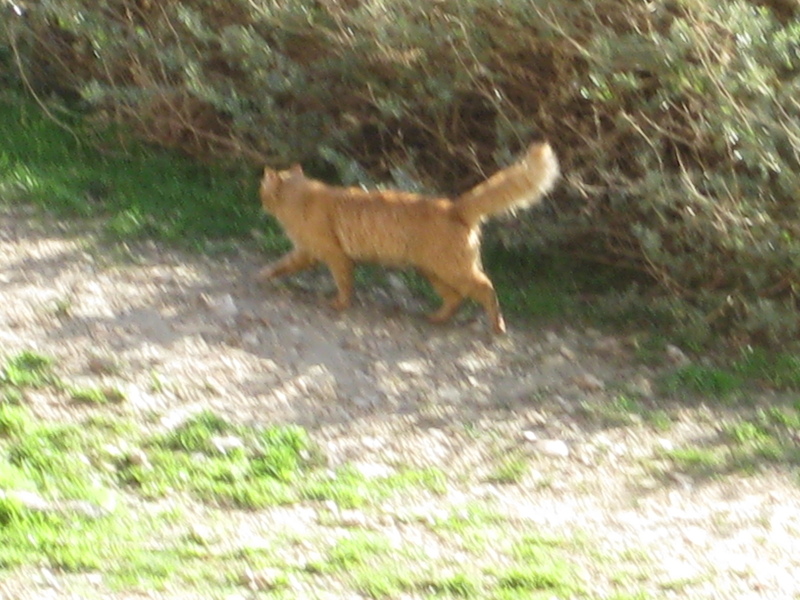 Here are just a could pictures of the cats of Cyprus. Cat at the Temple of Apollo — looks like one of my cats! Wow! This is beautiful and I loved the peacock mosaic. Must visit Cyprus sometime! 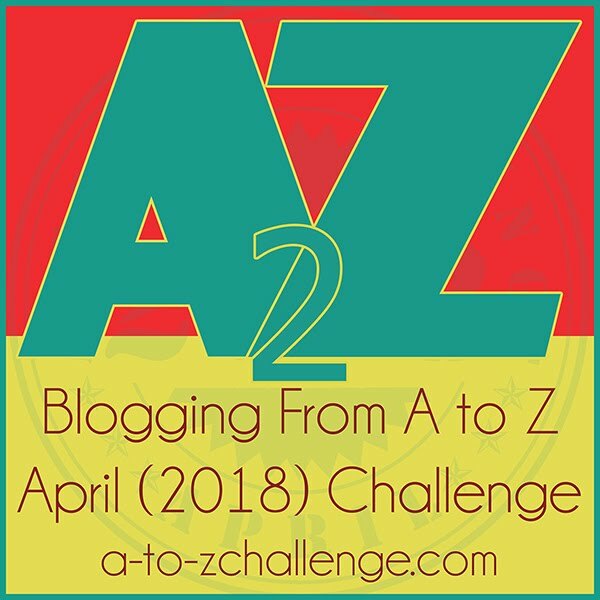 I’m doing the A to Z challenge as well! Cyprus is really beautiful, but I would suggest NOT going in the summer, as temps are really hot. There is a lot to see, yet feels very relaxed. 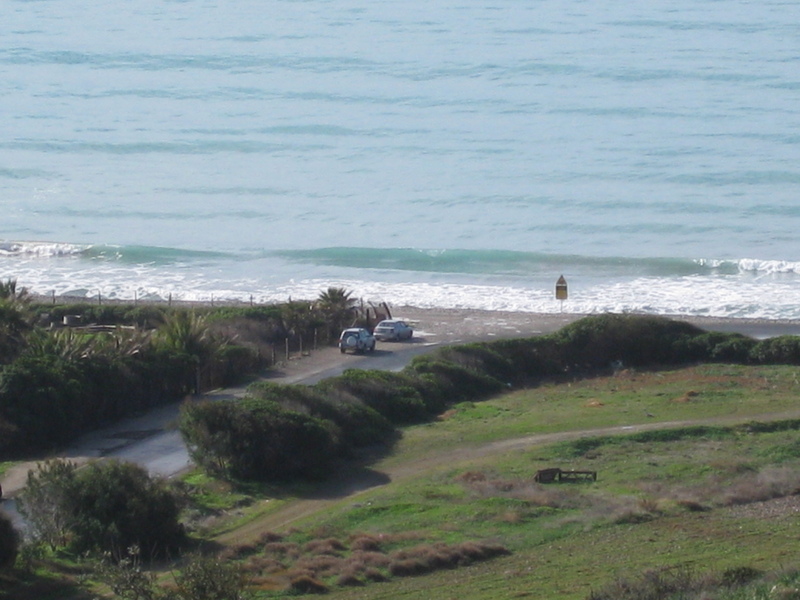 It looks like you went to Pafos…beautiful! I haven’t had a chance to visit Cyprus yet but it looks wonderful! Great post! Thanks! It is very beautiful.